Many of the tests performed during the chiropractic evaluation are unique to BCC. They are representative of our comprehensive approach to spinal care and encompass principles of the most current, evidence-based philosophies in a wide range of health care specialties. Range of Motion Assessment – Normal and healthy ranges of motion are compared to the available movement in your joints. Limited movement and pain gives the doctors insight into what part of your body may be affected, and what therapies will be beneficial. 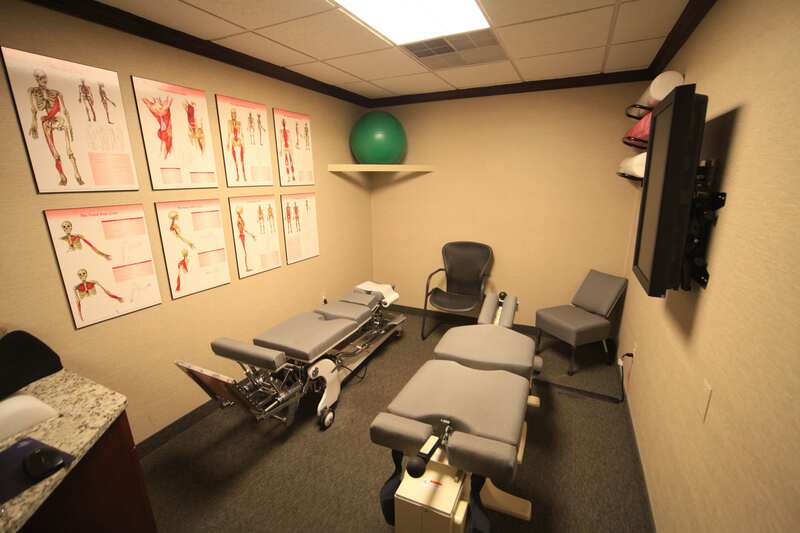 Orthopedic Testing – Orthopedic testing localizes the structures that may be causing your pain. These gentle tests also help us determine the severity of your injury. Orthopedic tests are performed by a variety of doctors, including Chiropractors, Orthopedic Surgeons, Neurologists, Physical Therapists and Athletic Trainers to identify different types of injuries. Neurological Testing – Neurological testing is done to rule out nervous system injuries and dysfunctions like herniated discs, carpal tunnel, and sciatica. These tests are simple, non-painful, and include things like testing your muscle strength, tapping your reflexes, and testing your ability to differentiate sensation. The results of these tests will also help us determine the need for further diagnostic imaging or testing. Posture Assessment – Postural assessment is used to identify imbalances that can lead to undue strain on your muscles and joints. Postural assessments are completed when you are standing, sitting or lying down, and identify differences in shoulder height, muscle tone, leg length, weight distribution, spinal alignment and head position. Gait Analysis – Gait analysis is the observation and assessment of your body’s motion while walking. It is one of the simplest and broadest windows into how your body functions. By analyzing your gait pattern, we are able to determine the impact your feet, knees, hips, pelvis and shoulders have on your overall structure, and their relevance to your symptoms. It is our belief at BCC that function is paramount to patient recovery, and improving your gait pattern is one the most effective ways to accomplish this. Functional Movement Testing – Functional movement testing is the assessment of muscular function and coordination while performing activities commonly utilized throughout the day. We will analyze several functional movements to determine if they are being done in a safe and efficient manner. It is not uncommon for us to analyze a runner’s stride, a swimmer’s stroke, or a yoga pose to see if there are any breakdowns in the biomechanical motion. Treatment will then focus on repairing functional imbalances by placing an emphasis on movement quality before strength or speed. More specifically, some of our doctors have been trained and certified in the SFMA (Selective Functional Movement Assessment). The SFMA is a movement based diagnostic system, designed to clinically assess 7 fundamental movement patterns in those with musculoskeletal pain. The assessment provides an efficient method to systematically find the cause of symptoms, not just the source, by breaking down dysfunctional patterns and diagnosing their root cause as either a mobility problem, or a stability/motor control problem. Structural Stability Testing – Structural stability is needed to complete simple, often unconscious activities, without putting your body at an increased risk of injury. Breathing, standing, sitting, bending, and driving a car are all activities that challenge your structural stability. Detailed analysis of these activities allows us to properly rehabilitate dysfunctional stabilization patterns and reduce the need for chronic treatment. Palpation – Palpation is simply examination by feeling. Your doctor will feel how different joints are, or are not moving, to determine which structures are in need of treatment. Typically, the area(s) of diminished motion are not where you will be experiencing pain and discomfort.